The drinks giant confirmed it is in talks with a small number of agencies to promote its range of premium whisky, gin, rum, tequila and vodka brands. Options being evaluated as part of the review include creating a roster of agencies or a winner-takes-all award of the portfolio into one consumer shop. 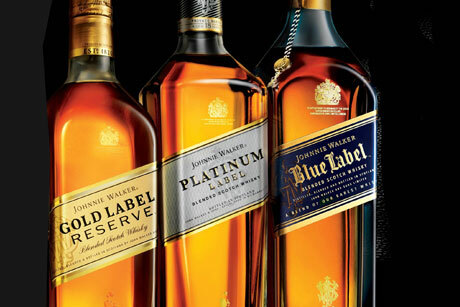 The Reserve portfolio consists of six premium spirit brands: the Platinum Label blended Scotch whiskies, including Johnnie Walker Blue Label, Gold Label Reserve and classic single malt whiskies; Zacapa rum; Ketel One vodka; Don Julio tequila; Ciroc vodka and Tanqueray No. Ten gin. It is understood that pitches are being held this week by Samantha Newall, head of PR for Diageo Reserve brands, Western Europe. A spokeswoman for Diageo said: 'I can confirm that the Diageo Reserve GB PR agency structure is under review and we are considering a small number of agencies. Diageo created its Reserve division in 2004 and has increased its global share from ten per cent to 15 per cent during the past three years. The drinks manufacturer recently claimed Diageo Reserve was the super deluxe spirits category leader, according to data gathered by International Wine & Spirit Research. In December 2012, Diageo signed male supermodel David Gandy as the new brand ambassador for Johnnie Walker Blue Label. Gandy appeared in the brand's latest ad campaign, positioning it as a 'game-changing' product. Each year, Diageo Reserve holds a World Class Bartender of the Year competition. Last year, 50 finalists went head-to-head for the title in Rio de Janeiro, which was won by Australian bartender Tim Phillips. In another agency change in February, Diageo moved its consumer PR for Smirnoff vodka from Splendid to GolinHarris.